A: We wanted to highlight the importance of words and their double meaning in my personal work. 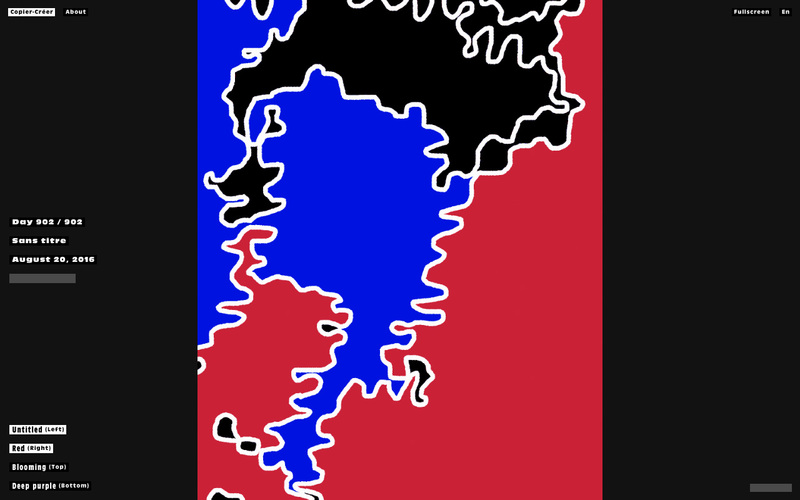 The navigation of this Website is designed like a spider web, each intersection of the “canvas” is a word (topic or color). Every day when I publish a picture, the navigation is generated once again, so the web “expands”. Therefore the visitor will never browse the same images, and some days, he/she will get lost. This Webdesign is all about creating frustration and exaltation at the same time.